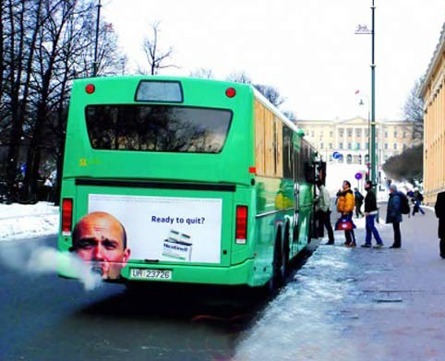 An anti-smoking advertisement strategically positioned on the back of a bus. And I like the one with the couple thinking very separate thoughts. where did you manage to get this photo of the bus! great photo. and thanks for your post. Where did you manage to find this photo of the bus? Great photo!